For some reason even after that eReader made it's way into my loving hands, I've always preferred to read my science fiction and fantasy tales in print format. To date, I still buy the big, meaty science fiction and fantasy books in print and just love to hold them. However, that's not to say that if I find a great buy in digital format I won't buy it either. When the price is right... I buy! A collection of some of the best 2012 original short fiction published by Tor.com. 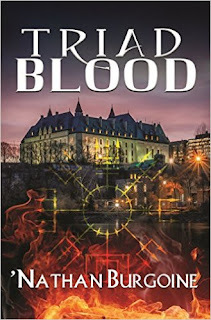 Authors: Elizabeth Bear, Adam Troy Castro, Paul Cornell, Kathryn Cramer, Brit Mandelo, Pat Murphy, Charles Stross, Michael Swanwick, Rachel Swirsky, and Gene Wolfe. 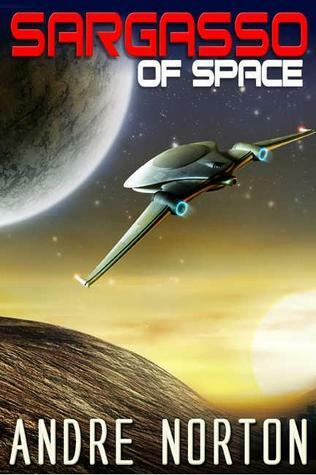 If you are reading and love The Expanse space opera by James S.A. Corey the way I do, then you probably already read The Butcher of Anderson County (Expanse #1.5). But just in case you have not, it is available for $1.99 for your eReader. And as an aside, I love every cover in this series so far... including those used for the novellas. As tension between Mars and Earth mounts, and terrorism plagues the Martian city of Londres Nova, sixteen-year-old David Draper is fighting his own lonely war. A gifted chemist vying for a place at the university, David leads a secret life as a manufacturer for a ruthless drug dealer. When his friend Leelee goes missing, leaving signs of the dealer's involvement, David takes it upon himself to save her. But first he must shake his aunt Bobbie Draper, an ex-marine who has been set adrift in her own life after a mysterious series of events nobody is talking about. Almost half a century ago, renowned science fiction and fantasy author Andre Norton introduced apprentice cargo master Dane Thorson in Sargasso of Space and Plague Ship. "Plague Ship (Star Queen #2)"
"Voodoo Planet (Star Queen #3)"
"The People of the Crater"
I have more in my eReader, particularly from the Halcyon Classics Series, but I don't want this post to go on forever. Note that with the exception of Andre Norton's Vision of Distant Shores, the rest are short stories or novellas. If you prefer to hunt for those old classics in used book stores, great! I do too! But, if you can't find them... it is great to know some of them continue to be available to new readers in digital format. I'm so happy to see more older titles becoming available electronically, as the print versions are becoming harder and harder to find. I can't believe that Norton collection is so cheap! I adored her Star Born. and that TOR collection looks amazing! Littleredreviewer, I agree! I spend a lot of time hunting for used editions of print books for older titles. Sometimes they are hard to find, other times they're just not available. I'm glad some of them are available digitally. I was very happy to find Norton's collection! There's another one for her, but it basically has the same works, plus a couple of other miscellaneous stories. You might want to check it out at amazon. Wow! Great stuff! I snagged that Tor collection the other day too. 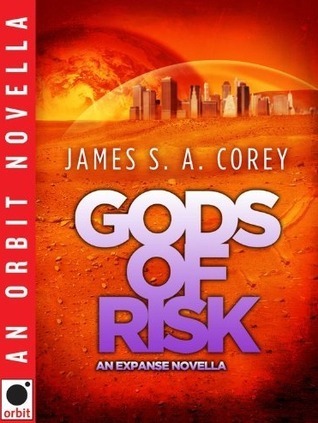 I had forgotten about the James S.A. Corey novellas, largely because I own but have yet to read the novels. But I appreciate the reminder because I need to pick those up. I bought a Kindle Fire HD in December planning to mostly use it for SFF magazines, which I have been using it for, but have been surprised by how much reading I've done on it. The first four things I've completed reading this year thus far have been on the Kindle. Carl, I began to read that Tor collection already, in slow little spurts! It's a beauty. :) And definitely pick up the Corey novellas if you want the complete Expanse series! These are focused on individual characters and give the overall series depth. Ohhh the Kindle Fire! You have the HD and I have the original. I love mine! You will be surprised at how addictive these gadgets become after a while. Books look gorgeous as do illustrations, etc... and yes, they are pretty handy when you want to snag a book at a great price! I had won a regular no frills Kindle and it wasn't exciting me all that much. I not only wanted color but more importantly something I didn't need to read with a light on. I'm loving the Kindle Fire HD much more than I thought I would. I'm reading more on it than I thought I would and I am constantly watching stuff on YouTube in bed before I go to sleep. Oh, the KF is freat to play. It's also very distracting if your intent is to use it as a reader. I'm addicted to the Web, browsing amazon, and everything visual. BUT, I'm used to reading on a reader too (I read most of my romances there), and for that I prefer a reder with eInk. Sooo, I also have the Paperwhite Kindle. It has the backlighting for evening if I need it, but it doesn't hurt my eyes (like a computer). I can read outside during the day without glare. Love it! The backlighting is a great idea. I can't fathom why this wasn't a feature right away. There must not have been any readers on the design team as they would have pointed out right away how foolish it is to have an electronic device to read on that you cannot see in the dark. It is pretty amazing how quickly the technology has developed that allows us to carry these small devices around that we can use for a multitude of things. I've actually just started using a Kindle. I don't think I'll ever prefer it to the book but I figured I had to go down that route eventually! Resistance is futile - you have 20 seconds to comply!! My kindle doesn't have a backlight which I would prefer if it did - but it's an experiment at the moment to see how I get on. I'm planning on doing a series of posts..okay, just two posts...sometime in the near future, one taking my long-held stance that reading physical books is THE way to read, which I still fully believe, and one outlining just how much I love my Kindle Fire HD and how it has changed, in just two months, the way I read and what I read. It will be a Jekyll and Hyde sort of thing. Lynn, I love it! "Resistance is futile." I still love my old K2... the eInk made it worth it. I found that I read really fast on that device and it had features that the Kindle Fire doesn't have -- like the fact that you can keep your books in Collections. But, as an eReader, I'm finding that the new Paperwhite Kindle has the best of both worlds... the eInk, the fast turning pages with a touch, WiFi and 3G, the ability to keep those collections and the backlighting, plus! The only thing missing are those color covers. :) The Kindle Fire is great, great as a small tablet with a Reader, though.